InterNations Toronto March 2019 Newcomers' Event! 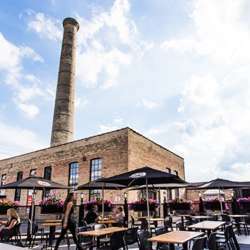 As our main venue Liberty Village at 3 Brewers is hosting us with another awesome night with a DJ and the beer pong competition!!. Our Newcomers’ Events are meant to connect you with people from all over the world. Making friends is one of the first steps to make when you are new to a new country. The event will be hosted in an emerging art scene and modern eateries areas. The venue is one of the most recognized restaurant/bars for its homemade beer.